The Brasserie artisanale Gallicus recently opened on February 23 in the Plateau. Located in the industrial area, 670 Auguste-Mondoux, the business offers an experience rich in flavour on Fridays (5:00 pm to 10:00 pm), Saturdays (2:00 pm to 10:00 pm) as well as Sundays (2:00 pm to 6:00 pm). The craft brewery produces, amongst others, the L’Envolée beer, previously brewed at the Brasseurs du Temps in Hull; the product is of the Kölsch German type with 4.9% alcohol. The brewery currently offers four beers that are on sale in some Outaouais and Montreal retail stores. More beers should be available in the coming months. Most products of the brewery have less than 5% alcohol content, distinguishing it from other breweries. Its Saison beer uses local hops from the Pontiac. Beers at Gallicus are also available in 500 ml bottles. 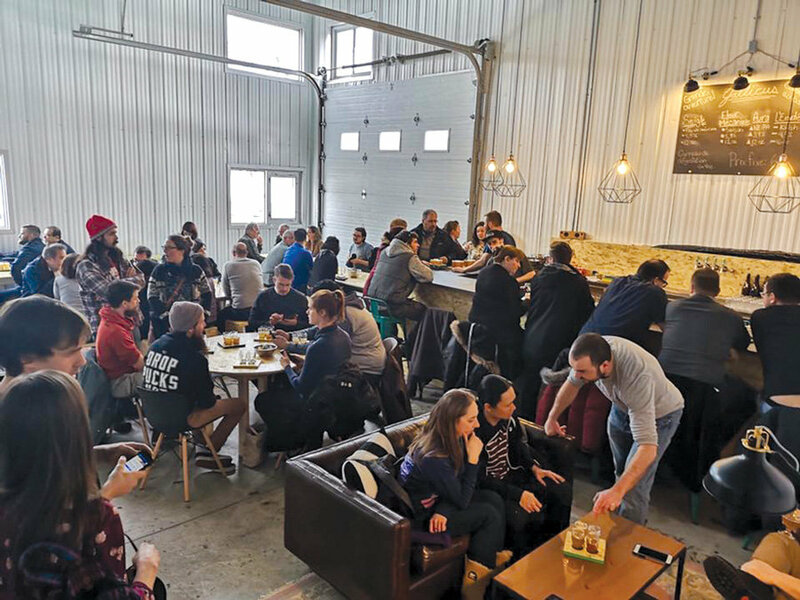 The brewery is unique since it is located in an old industrial space, a sort of garage, especially outfitted for the business. The building can accommodate up to 40 clients. This is the first brewery to open in the Plateau. The construction had started last August and the new business got its alcohol permit in December. The transformed industrial space has a room especially dedicated to the production and another for tasting in a laid-back atmosphere. A lot of the furniture is made from recyclable material. For the time being, the brewery doesn’t offer food, except for popcorn. Clients can bring their own food or order out. Some tapas should be available in the coming months. Samy Missaoui is behind the craft brewery Brasserie artisanale Gallicus. In addition to a master’s degree in business administration, he has a brew master diploma, obtained in France, including microbiology training. An expert in the domain, he has a real beer passion.